Promoting wellness has been Dr. Kahn’s passion for 30 years. Dr. Kahn started her study of natural health in 1983. She has traveled the world to expand her knowledge of the healing arts. She studied nutrition and bodywork in Northern Europe, western herbs in the Midwest, and finally attended medical school in Portland, Oregon. She graduated as a physician from the National College of Naturopathic Medicine in 1998, and then received her Master’s in Chinese Medicine in 2003. Dr. Kahn has a strong background in adult primary care and women’s medicine. In medical school, she gained experience in conventional primary care and gynecologists’ offices and natural medicine clinics. She has completed internships focused on acute and chronic illness in women and men of all ages. Since 1999, she has practiced as a physician in both conventional and alternative clinics, including Planned Parenthood and Health Practitioners Clinic, in Canby, Oregon. 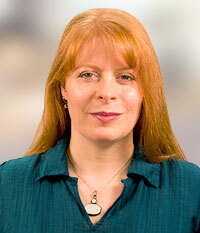 She has been serving as the Portland community as the principal physician at A Balanced Life Health Care since 2001. Even as a seasoned physician, Dr. Kahn’s passion for helping people inspires her to continue her study of the art and science of medicine.